Are you or a loved one suffering from tooth pain, headaches, jaw issues, or some combination of these symptoms due to teeth grinding? If so, you should consider a night guard. But, be sure to read this article in its entirety to find out the truth about mouth guards and what you need to know before purchasing one. According to the American Sleep Association, as many as 30 million people deal with bruxism (teeth grinding) on a daily basis in the USA alone (source). If left untreated, it can cause severe damage to the teeth, gums, jaw, and dental implants such as crowns and fillings. It may even be the sign of an underlying condition with potentially life-threatening consequences. To treat its symptoms your dentist may recommend a mouth guard. This is a protective device that fits over the teeth and gums in order to shield them from injury. Here is our review of the top mouth guards on the marke. NOTE: Some research does show that night guards might not be the best solution and could even make the problem worse. In certain instances, they are the ideal solution. In others, they could put your oral health at risk. So, it’s very important that you understand when one is right for you. According to Contemporary Implant Dentistry, the average human exerts 28 psi while chewing a carrot and 21 psi when chewing meat (this statistic also depends on how you like your meat!). Bruxers (people who grind their teeth) can exert up to 500 psi on their teeth while grinding! Think of your jaw as a muscle—those who grind their teeth constantly are exercising their jaw muscle, causing it to increase in strength and increasing the pressure on their teeth. If you, your partner, or someone in your family is experiencing bruxism, you should consult your dentist immediately to discuss mouth guards or other available treatments. Although dental guards are the most common treatment for teeth grinding, they might just be a temporary solution. The reason they are so common is because they are relatively cheap and easily accessible. There is also no need for a prescription. In some rare cases; however, bite guards could accelerate or worsen teeth grinding. This is usually observed only when bruxism is determined to be a symptom of a deeper health issue. In this case, seeing your dentist and talking about your teeth grinding could really save your life! To better understand whether or not a mouth guard is helping or hurting you, you first must understand the relationship between teeth grinding and other, more severe issues. Bruxism: Is it Actually Sleep Apnea? 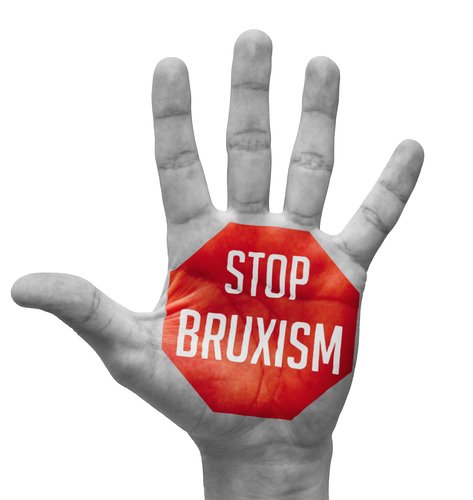 Although night guards are the most commonly prescribed treatment for teeth grinding, momentum within the medical world is slowly changing the way medical professionals approach bruxism. Research points to it actually being a sign of a more serious medical problem: sleep apnea. 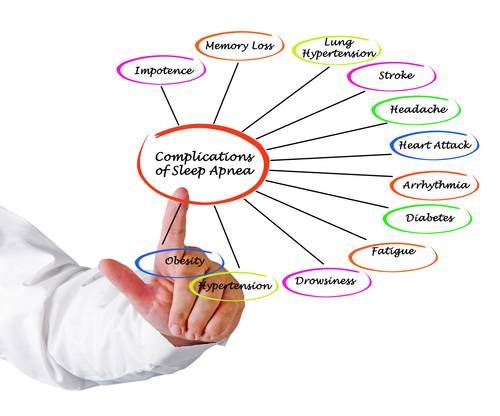 Sleep Apnea: A common condition where a person stops breathing while sleeping. The sleeper will often pause breathing for a short time and then resume with a loud choking sound. According to research, the brain activates the grinding process in our mouths when it isn’t getting enough oxygen. If the brain senses that the flow of oxygen to the brain isn’t sufficient, it will activate the stress mechanism that pushes the jaw forward to open the airway which then causes teeth grinding. This is the basic survival logic: if the body activates this stress mechanism, it won’t go deeper into sleep, and if you can’t go deeper into sleep, you won’t suffocate while sleeping. It’s especially important to pay attention to the symptoms of daytime fatigue in children, as it can have a major effect on their performance in school and behavior throughout the day. Children with ADHD should be monitored closely. It’s for this reason that your dentist should never treat your teeth in isolation from the rest of the body. A dental guard will protect your teeth, but if grinding is merely the symptom of a greater underlying issue, then your dentist is doing you a disservice by putting this band-aid on the situation. Bite guards are a very effective treatment for bruxism. When a dental guard is put in place, you avoid the enormous pressure on your teeth and prevent the majority of damage to your teeth, lips, gums, and jaw. However, if teeth grinding is just a symptom of sleep apnea, your mouth guard could be making it worse and putting you at serious risk. Anytime something is placed in your mouth, it repositions the teeth, tongue, and jaw. Your mouth guard could actually make it more difficult for your body to breathe at night, worsening the symptoms of sleep apnea, and, in the most severe cases, even risking your life. That’s why it’s important to consult with your dentist first about sleeping disorders. As I mentioned before, your dentist should consider the teeth in relation to the rest of the body. This means considering sleep apnea as the cause of teeth grinding before prescribing an implant. Expect your dentist to recommend you to a sleep study to discover the extent of your sleep apnea. This option must be ruled out before they prescribe a night guard. By sleeping with a CPAP machine (a machine that delivers constant air pressure to the body) or through another oral appliance, you can cure your sleep apnea, which will, in turn, cure your teeth grinding. In short, your dentist should try to cure the root cause of your grinding and not just prevent the grinding from damaging your teeth and jaw. Most mouth guards won’t protect your jaw from long-term damage anyway. If a sleep disorder is ruled out as the cause of your grinding, then you should turn to a dental guard. Dental guards are a simple and effective solution to preventing the damage to your teeth and gums that bruxism causes. There are three common types of mouth guards. They are worn either at night or during the day for teeth grinding protection (or to help prevent damage while playing sports). Each provides a different quality of protection and comes with a different price tag. Your dentist can help you come to a decision on which one is right for you. Stock Mouthguards: What you see is what you get. Stock guards come ready to wear. Just stick them in and get to sleep. They are inexpensive and plentiful. You can head down to your typical sports store and grab one off the shelf for less than $20. The downside is that most are bulky and won’t fit your mouth properly or provide optimal protection. They should still do the trick for mild teeth grinding disorders. Boil-and-Bite Dental Guards: This type is a step up in price but offers better protection and fit. Just boil it, stick it in your mouth once it’s cool, and mold it into the shape of your teeth using your fingers and tongue. Custom Dental Guards: These are custom-fitted and designed in a dental laboratory from your dentist’s instructions. First, your dentist takes a mold of your teeth, then the piece is fitted over the mold using special materials. These will provide the highest level of comfort and protection, but also come at a higher price. Buying a custom night guard online is also a viable option that may save you money. Night guards are a great option in the short-term to protect your mouth from the damage that clenching causes, but they are not a long-term solution to teeth grinding. They should only be used once a sleeping disorder is ruled out as the cause of bruxism. If you are suffering from sleep apnea, the guard might actually have negative effects! Treating the root cause of your bruxism is far superior to treating the symptoms, so be sure to consult a sleep specialist. If you aren’t suffering from a sleep disorder, then a dental guard is the ideal solution. Already got a mouth guard? Learn how to clean and maintain it so it can last you longer!